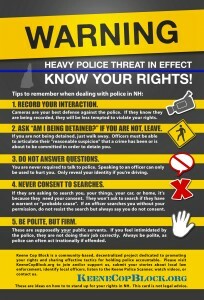 For years, videos have been floating around the internet exposing police officers in every way possible. 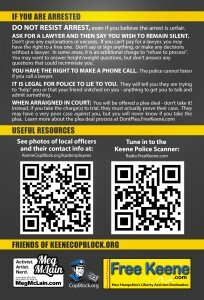 While there are many different viewpoints surrounding the actions of the police force, students at Keene State College in particular are being thrust into an entirely separate situation with the implementation of CopBlock every Friday and Saturday night. Freeman noted that holding police accountable for their actions is their main focus, hoping to expose police officers who target people for “victimless crimes,” such as open container violations or possession of marijuana. 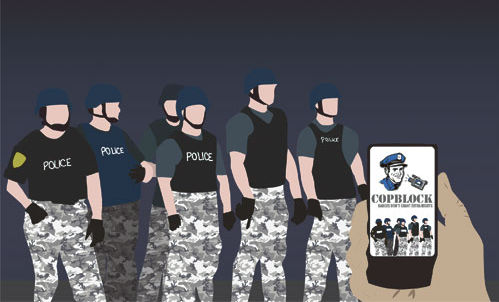 CopBlockers expose these police officers by video-taping their interactions with the people they are targeting and then placing the videos online for the public to see.